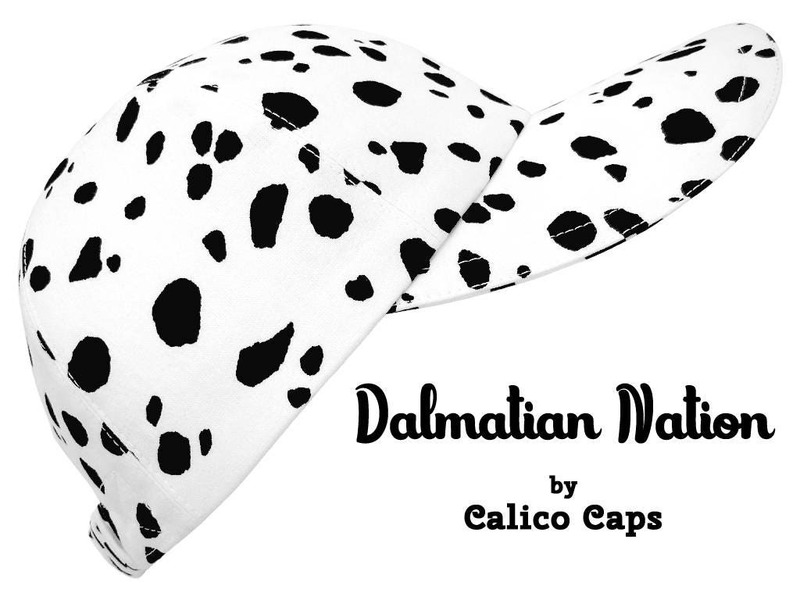 This style is called "Dalmatian Nation"...... A classic black & white Dalmatian print. 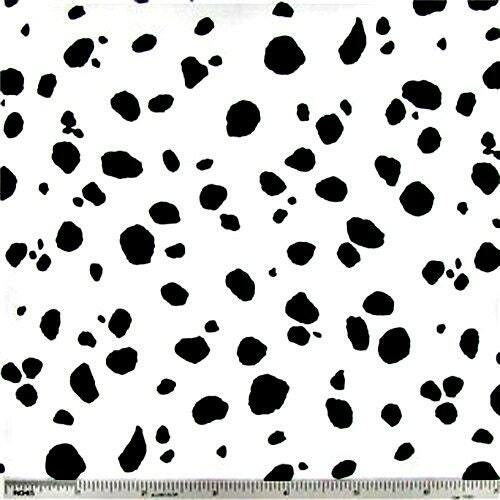 Black spots on a bright white background. 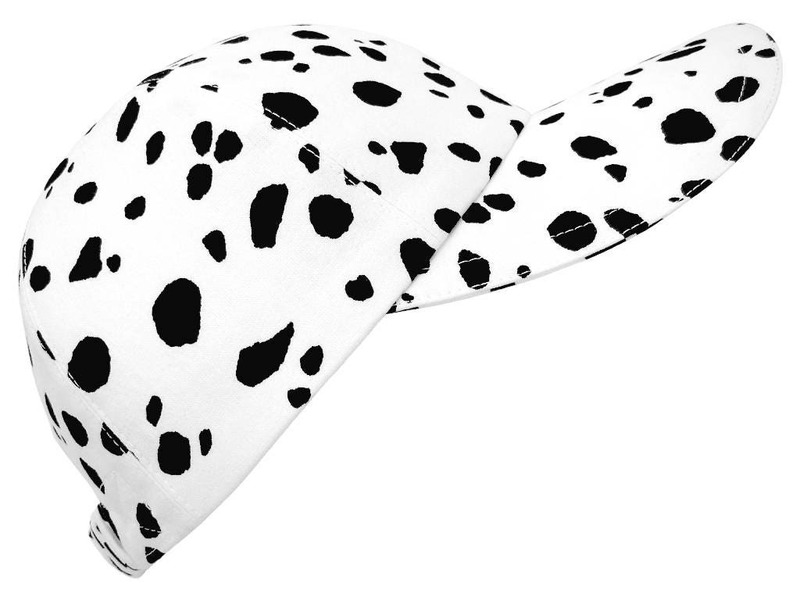 White top-stitching, black grosgrain inner band on the white-on-white floral print cotton lining.